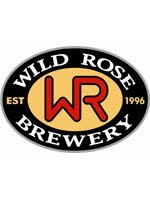 Alberta craft brewer, Wild Rose Brewery, is pleased to announce the launch of their latest Seasonal Release Wild Rose FOOTHILLZ PILZ on February 23, 2012. This lager has a straw coloured hue, with a distinct hop aroma and flavour. Crisp, clean and refreshing, this Czech Style Pilsner has been crafted to satisfy. Brewed using Canadian Superior Pilsen malt the generous addition of Saaz, Vanguard and Tettnanger hops provides a spicy, citrus aroma and a pleasant lingering bitterness. Like all good lagers, the Foothillz Pilz has undergone an extensive cold aging period which results in a beer of superior complexity and smoothness. A favourite in the Wild Rose Seasonal line-up, this year's batch is sure to please. Crisp and refreshing, the Foothillz Pilz is very versatile pairing nicely with a variety of foods including sausages, chicken, fish, shellfish and spicy fare. It also makes a great aperitif. To celebrate the launch on this brew, a special Cask Conditioned batch of the FOOTHILLZ PILZ will be tapped on Friday, February 24th at 4pm MST at the Wild Rose Brewery & Taproom. Crafted in limited quantities, Wild Rose FOOTHILLZ PILZ is available in 650ml bottles at select liquor stores in Alberta including Coop Wines & Spirits, and on tap at a number of select locations including The Ship and Anchor in Calgary and at Wild Rose Brewery & Taproom.